Is a taco still a taco if it’s flat? I wonder. 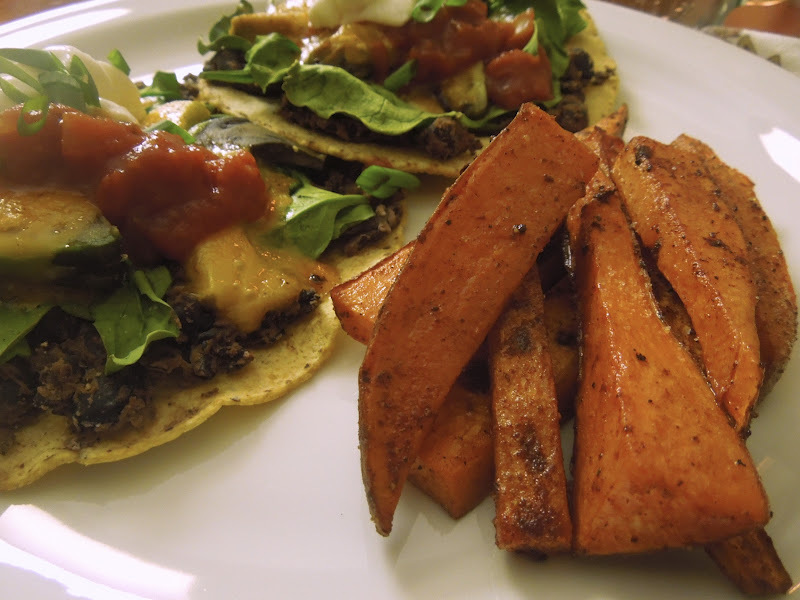 Well anyway, tonight open faced “tacos” were on the menu! 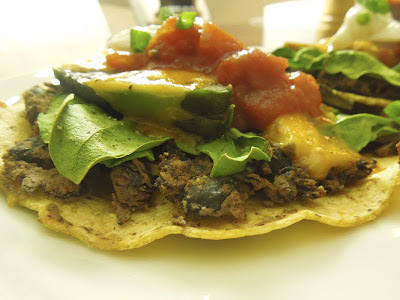 I love corn tortillas and even use them in place of sandwich bread sometimes. You store them in the fridge and they can get pretty stiff so be sure to heat them in a skillet a little to make them more flexible and flavorful. I reached for a can of refried beans as the “meat” and realized we were out. No worries! Mash up black beans instead! I mashed half a can of rinsed black beans with a fork, added to the mash was a tablespoon of olive oil, a clove of garlic, a sprinkle of chili powder, a squeeze of sriracha sauce (my beloved) and s&p of course. I then added the other half of the beans and stirred it in to add more texture. 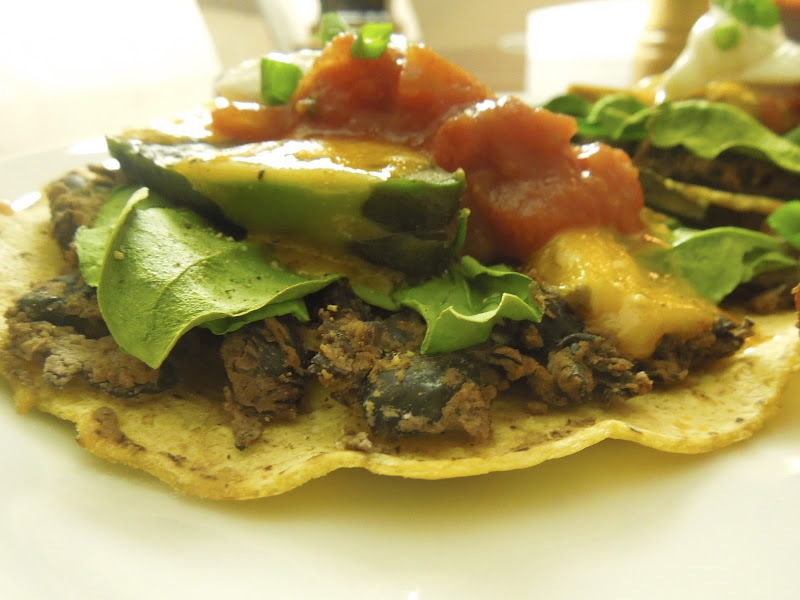 After heating four tortillas in a skillet, I spread the refrieds on them as well as spinach avocado and a little cheddar cheese. Into the oven on 375* for about 10 minutes. About this time I realized how great sweet potato “fries” would go with it. Cut one large sweet-tator into fry size slice and nuked for four minutes on a plate (I am too impatient to wait for them to cop thoroughly in the oven, especially at 8:00 at night!) After the mic did most of the work I broiled them in a little olive oil, cinnamon, paprika and s&p. Top with salsa, non fat plain Greek yogurt and scallions. Delightful! Have a wonderful night people!